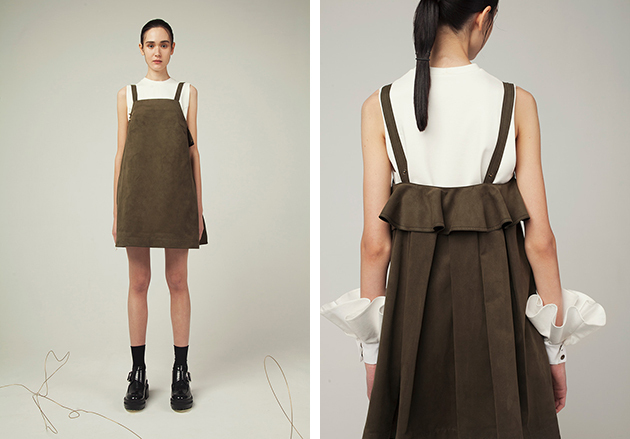 J.Kim is a fairly new, yet incredibly savvy, Moscow-based brand founded by the Korean-born designer Jenia Kim. In just five seasons the label has become a fashion favourite, holding its last presentation in Paris this year – a clear mark o fits growing success. Even though this success has happened quit fast, the young designer has experimented a lot before launching the line in order to find her signature style. 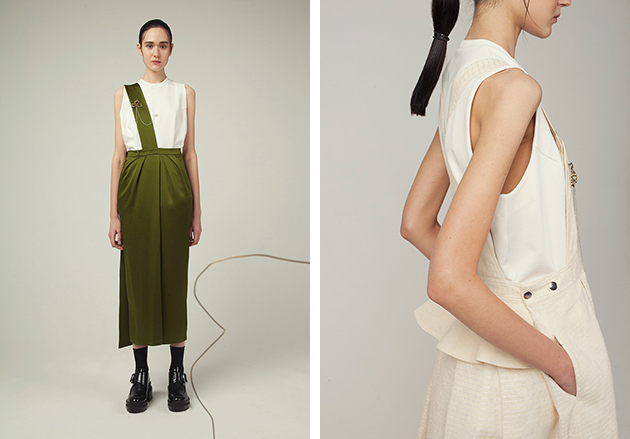 For Spring/Summer ’16 Jenia Kim has developed some of those strengths and created a collection with innovative silhouettes, a great balance between clean and more eye-catching pieces and focus on the details. Shoulder pads. Marked waists. Ruffles. Embellishments. 3D dimensional flower prints. 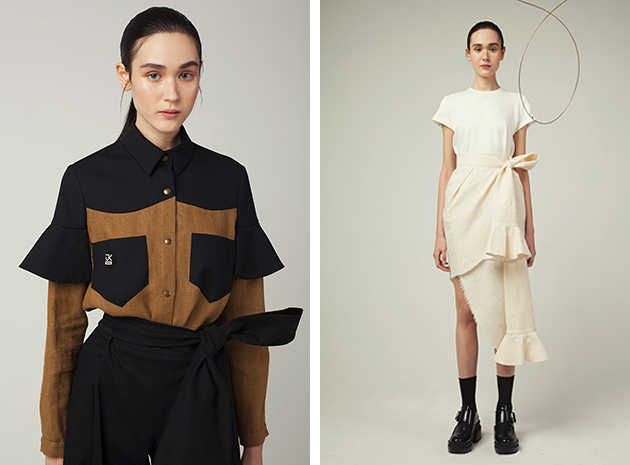 In J.Kim’s work, crazy creative meets the cool office girl, and who wouldn’t like to be that person? Even though Jenia Kim has found her design aesthetic, she still believes that the brand is in the making. Learning by doing is a philosophy that every designer should follow, especially in this industry where everything is a constant development and a work in progress. Though, one thing is certain, hard work and a lot of passion are needed to build a brand, and it is obvious that Jenia Kim lives and breaths fashion. She believes in her own ideas and in developing a unique, signature style. J.Kim has probably not reached its final design expression, but it is clear that it has a DNA that makes it stand out among so many other young, ambitious brands. Her design idea is her own and that is probably one of the keys to her success. We are looking forward to seeing her future collections and we are sure they will be as smashing as those embellished, ruffled pants!